If you are an enthusiast or new casino player, it is of no doubt that you need a casino with a proficient regulatory system. YoYoCasino is one stopping site that gives you an opportunity to explore and have a fun time and a chans to wins som cash. It is an international online casino with a concentration on the European market. You can open their site with up to 10 languages which include English, Finish, Swedish, Norwegian, German, Russian, Polish and Hungarian. Although they restrict some countries such as Israel and the United Kingdom, they still remain competitive in the market. They offer a variety of table games such as roulette, blackjack and baccarat and a variety of poker games. You will find some of the best slots here too. Their site looks neat and mobile friendly enabling you to use different touchscreens. If you want to talk to the customer care, then you can contact them through emails, telephones or live chats. Let’s go through the full review! When you get on the homepage, you’ll be offered with a vast range of casino games to select from. The original few games are highlighted, then you’ll see units showing the available new games and popular games. They provide different segments with a variety of game types, such as Roulettes slots, Cards, and Jackpots. They love the fun graphics, a bright site which make the gaming skill as enjoyable as going to an arcade or a land based casino. This platform has reasonable bonus turnover conditions. When you first sign up, you will be awarded 100% bonus up to €500 and 200 free spins as a welcome bonus. You will also get a weekly bonus of 50 free spins. The bonus is not credited only if you apply through live chat or email. These bonuses are awarded to give you the motivation to keep playing using YoYo online casino. You can make deposits to your YoYoCasino account in the following ways, through online banking of your choice, directly using your credit and debit cards and through ways such as visa, web money, Skrill, NetEller, Zimpler, Klarna and Qiwi wallet. Yoyo Casino receive support from many world’s best game provider such as PushGaming, NetEnt, Yggdrasill, Red Tiger, Microgaming, Elk and Rivel. This guarantees that all the game experiences are exciting, smooth and they never disappoint. They also got back up from the software companies such as Amatic, Relax Gaming which ensures that the site has a variety of games to choose from. There are competitions once in a while which is great entertainment for the users. The price is quoted for the winners and this is a source of great motivation to the casino players. YoyoCasino is a new online casino with a reputable name, they give you an opportunity to explore a variety of games. They provide a variety of games, promotions and bonuses, mobile-friendly layout and quality slots which make it worth checking out. 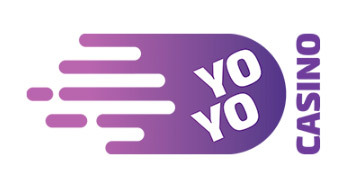 YoYoCasino also has a cool logo which has hit the market making it the most competitive online casino. If you are an enthusiast or new to online casino games, don’t hesitate to go to www.yoyocasino.com and get excellent services.